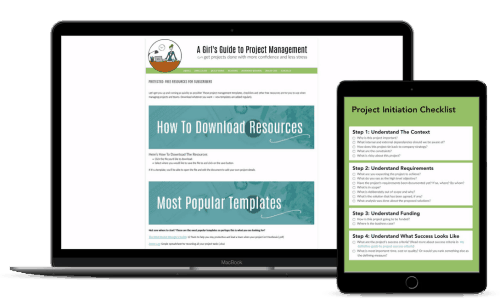 Are you looking for free project management templates? Then you are in the right place! Creating documentation from scratch is just pointless. Why not use something tried-and-tested that you can borrow from someone else? That’s what this resource library is all about – saving you time, effort and stress, and helping you get your projects off to a great start. I’ve made my own well-used templates available to you. Use them as they are or as a starting point for your own project documentation. Many of them include tips for customising the files to make them appropriate for your projects. Already have the password? Click here to continue to the Resource Library. Other resources, like cheat sheets and guidance. Right now there are over 20 downloadable files in the Resource Library with new ones being added each month. The Resource Library is password protected. To get access to all the free downloads, sign up for the GirlsGuideToPM newsletter and the password will be emailed to you. It was emailed to you when you signed up for access to the resource library, and it is often mentioned in my regular newsletters. Try another browser. You may find that if you are trying to access my resources from your workplace, your company firewall or internet policy blocks you from accessing or downloading files. You can always try from a personal device or from home. You can use these for your personal and work projects. You can edit and modify them, include your own corporate logo and make changes as you see fit. In other words, you can pretend you made them yourself and take all the credit! I won’t mind (and I won’t know). However, you cannot sell the templates as your own, package them with any other product or use them for commercial gain in any way. But you wouldn’t do that, would you? Code of Ethics for Project Managers and all that. Don’t have time to dig into the Resource Library right now? 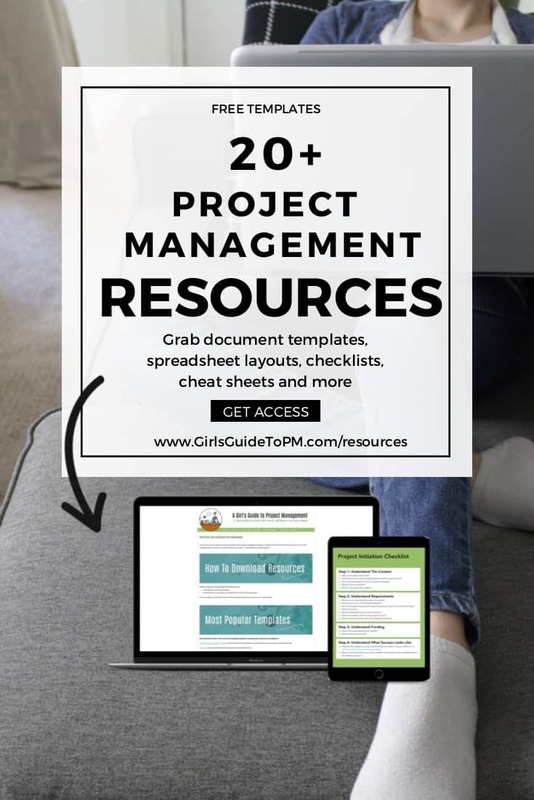 Pin this page for later so you can come back to it when you need some project management templates.